Yesterday I visited the Physio to get the verdict on my knee. Was really good to talk to someone who could diagnose what the problem is, and give confident, helpful advice on solutions. Whole visit was really motivational after being quite concerned that this was going to throw a real spanner in the works. Got a few things to try with regards to bike set up including altering cleat position, and putting an instep in my shoe to help correct knee position. Basically all stuff that will stop my knee pain from getting any worse and allow recovery. I’ll need to cut a hole in my lycra bib around the knee too as apparently compression in that area is a bad idea – it’ll just exacerbate the problem by misaligning my kneecap, which is still a bit dodgy after dislocating it climbing a few years back. Really interesting that wearing lycra bottoms that cover my knee may well have caused the problem to occur, by putting pressure on my kneecap and throwing it slightly off centre, which over repeated revolutions whilst pedalling can make things go awry. One to avoid in future. So a few costume alterations to do, regular hamstring stretching exercises, and more sessions with bags of frozen peas to help the healing process along. Big thank you to Tim Sheppard of the Global Clinic, thoroughly recommended! 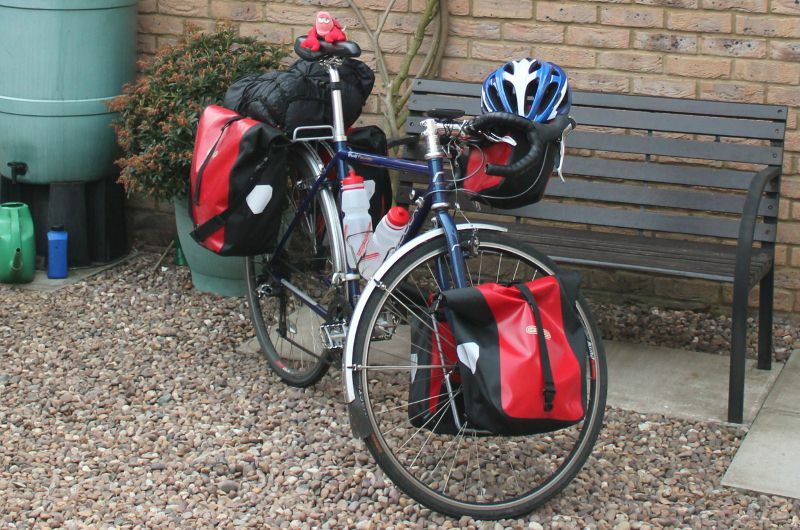 In other news I’ve just about fitted everything onto my bike, including my tent thanks to taking delivery of a cargo net for my back rack, although needs balancing out a bit. So pretty much ready to go. 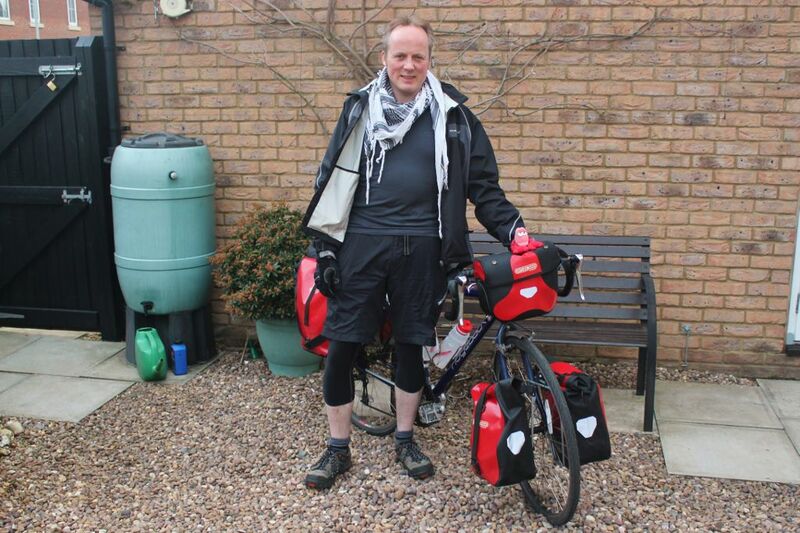 This entry was posted in Bike around Britain 2013, General, physio and tagged bike, cycle touring, cycling, health, physio on April 10, 2013 by SelfPropelled.